Running on Pixie Dust: 'Ohana means family. . .
'Ohana means family. . .
. . .and family means nobody left behind or forgotten. Apparently it also means "good food" when you're staying in WDW and dine at this restaurant inside the Polynesian resort. Dan and I dined here in April 2014 after returning from our Disney Cruise. 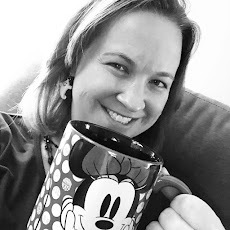 I wanted a little touch of Disney World magic to end our vacation without paying for a park ticket. So we decided to visit Downtown Disney and then have dinner at 'Ohana. It was a first for both of us and we'll definitely be back! Location - First of all, 'Ohana's location is fabulous. The Polynesian is a beautiful resort to explore and enjoy a pre-dinner cocktail by the pool. The restaurant is on the second floor and provides a view of the Wishes fireworks if you time it appropriately (which we did!). Like California Grill, 'Ohana also dims the lights and plays the music that accompany the firework. Be warned - this is not an unobstructed view like California Grill though. There is currently a volcano and trees that block part of the fireworks depending on where you are sitting. We were lucky to have a table right next to the window without any obstructions, but not all customers will be so lucky. Overall Experience - The experience in 'Ohana is one that you are not likely to forget anytime soon. It's a very laid back, family friendly atmosphere. The food is served family style and our waiter enhanced that experience with his energy and enthusiasm. There was also a singer performing on a ukulele that traveled from table to table singing. I especially enjoyed when they asked people celebrating a birthday or anniversary to come up for a special song - since we were celebrating my 30th! One of the downfalls I had read about 'Ohana are long wait times even when you have an ADR. We had a reservation and ended up waiting about 35 minutes for our table - not great, but not terrible either. With the family style serving, it seems that moving people along can be challenging. 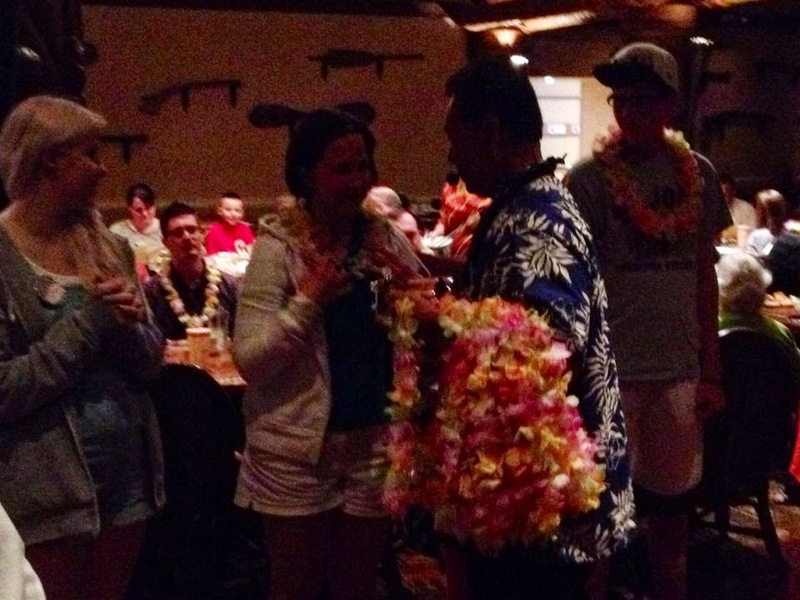 A little dark - but that's me getting my birthday lei! Food - I have to admit that I was a little nervous about the food. Your choices are limited here, but the food is delicious. The main courses of shrimp, pork, and steak skewers accompanied by noodles and stir fry vegetables have all the "tanginess" of the Hawaiian Islands that you would expect to find. And I think Dan speaks for most men in America when he says, "How can you beat meat on stick??" Don't forget to save room for dessert too as the bread pudding with the banana caramel sauce is unbelievable! The only thing lacking in 'Ohana was the fact that we experienced what many others had complained about, a bit of a wait for our ADR. Fortunately, we were traveling alone on this trip because I don't know how we would have entertained our 26 month old during the wait time. We loved the food and the atmosphere though and definitely plan on returning soon!